This is Rocky Scarlet, Molly's best friend. Do you think you could write about her? Of course - you can write too!! 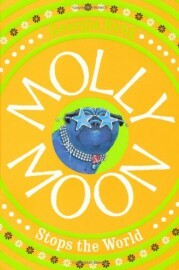 Click to take a journey round the world of Molly Moon book covers! This is our hero Molly Moon! Do you want to find out more about her? This is Petula, a little pug dog. Find out more about her. Did you know Georgia Byng has written more books? In the movie, two pugs played Petula. Want to know more? Look at him sneaking! What is he up to? Do you want to see some <em>amazing</em> hypnotic art? ...from the great Dr. Logan and Molly Moon! 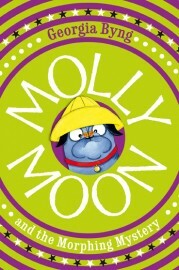 Play one of our fun Molly Moon games! You get hypnotised every day by adverts. Do you want to see how? Let Molly take you somewhere completely random! 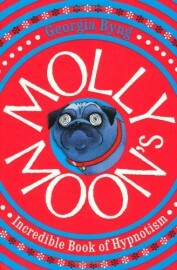 Welcome to the website and the World of Molly Moon! There is lots for you here. There are ideas for making things, drawing and writing. Ideas for what you might like to read, watch, listen to, think about. From hypnotism to thoughts about how to be happy. From mesmerising, mind-moving magic to amazing music and awesome art. 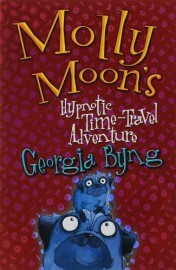 There is a special section for the first Molly Moon movie – Molly Moon and the Incredible Book of Hypnotism, starting: Raffey Cassidy, Dominic Monaghan, Anne-Marie Duff, Emily Watson, Lesley Manville, Joan Collins, Celia Imrie, Ben Miller, and many more. 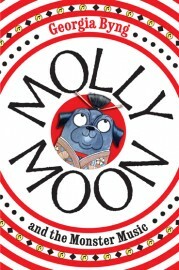 You can also find out about my books: Molly Moon’s Incredible Book of Hypnotism, Molly Moon Stops the World, Molly Moon’s Hypnotic Time Travel Adventure, Molly Moon, Micky Minus, & the Mind Machine, Molly Moon & the Morphing Mystery, Molly Moon & the Monster Music and Pancake Face. I hope this site helps you see that life is wonderful and the world is your oyster. 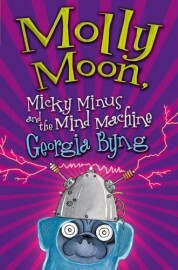 NB: Georgia Byng is is represented by United Agents and the Molly Moon series is published by Pan Macmillan (UK), Harper Collins (USA). See all international publishers.